Old Baldy sells branded products: T-shirts, caps, etc.! Click here or the STORE menu item in the header above. Bill presents the life and military career of Major General George H. Thomas, USA, Commanding, Department and Army of the Cumberland, the greatest general in the line of Virginians from George Washington through Winfield Scott. Born in Virginia, George Henry Thomas (July 31, 1816–March 28, 1870) was a West Point graduate, a career U.S. Army officer, and one of the principal commanders in the Western Theater. Undefeated in battle, he was appointed by Lincoln a Major General in the Regular Army, one of only five authorized by Congress. “…it is doubtful whether his heroism and skill … has ever been surpassed in this world.” Abraham Lincoln commenting on General Thomas at Chickamauga. William S. (Bill) Vosseler holds a BS in Business from Rutgers University. 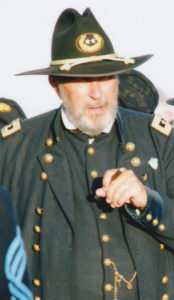 Retired from the Prudential Insurance Co. of America, in 2007 he founded Civil War Recreations, a company specializing in the recreation and worldwide sale of historic Civil War medals, ribbons and uniform related items. 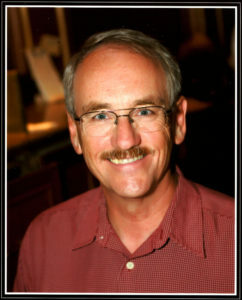 Bill serves as Executive Director of the American Civil War Charitable Trust (ACWCT), a non-profit organization that raises money to promote Civil War study and to help American Civil War related organizations, nationwide, in their historic preservation, veterans’ grave restoration, and educational efforts. 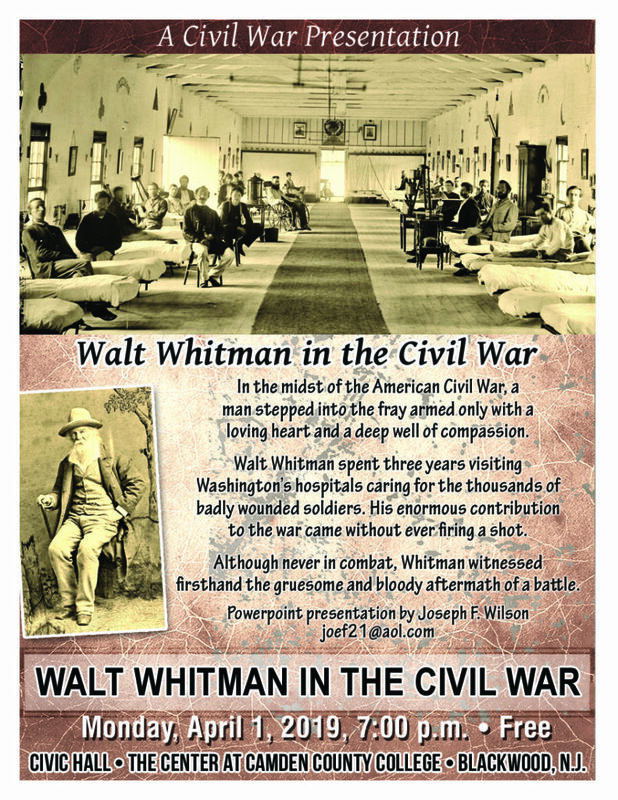 In 2000, he founded the Union Library Civil War Round Table in Hatboro, PA, which met monthly until 2015. He is also founder and past Camp Commander of the Baker/Fisher Camp 101, Sons of Union Veterans of the Civil War (SUVCW), Department of Pennsylvania, and a Legacy Life Member of the 12th Armored Division (WWII) Association. Having served in the 4th Infantry Division in Vietnam, he is a combat disabled Veteran and a Life Member of the Disabled American Veterans. Bill and his wife Peggy reside in Garnet Valley, PA. This entry was posted in Meeting announcement on March 14, 2019 by hlj. This entry was posted in News on March 10, 2019 by hlj. 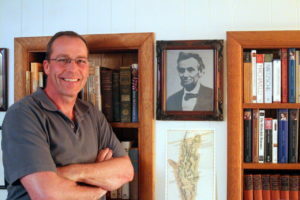 Mr. Prentiss examines the connection between Lincoln’s early speech, On the Perpetuation of our Political Institutions, and the Gettysburg Address, and how together they reveal the fundamental principles of democracy and justice that guided Lincoln during his presidency. David Prentiss is a member of the political science department at the University of Massachusetts-Dartmouth. He teaches courses in constitutional law, American government, political philosophy, leadership studies, urban politics, and public opinion dynamics. 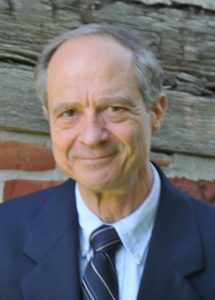 His research interests include the American founding, Progressivism, democratic leadership, political philosophy, Jane Austen, and Nathaniel Hawthorne. 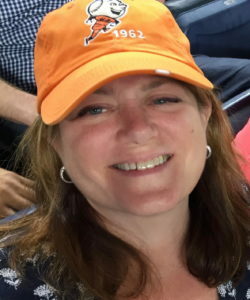 Professor Prentiss is a frequent speaker on democracy, leadership, and liberal education, with a special focus on Alexander Hamilton, Abraham Lincoln, Franklin Roosevelt, Frances Perkins, and Harry Truman. He is the former board chair of the Alma del Mar Charter School in New Bedford, MA and currently serves on the school’s Advisory Council. He is also the President of the New Bedford Symphony Orchestra. Professor Prentiss received a B.A. in Philosophy at Assumption College, a J.D. from New England School of Law and a M.A. in Political Science at Boston College. This entry was posted in Meeting archive on February 24, 2019 by hlj. Bennett Carlton is the author of Have We Taken the Mountain? : The Civil War Battles of General Charles G. Harker. The book chronicles the military exploits of a local New Jersey soldier, a West Point graduate, who rose in rank to brigadier general in the Army of the Cumberland before being mortally wounded at the Battle of Kennesaw Mountain. Prior to Sherman’s Atlanta Campaign, Harker fought in all the major battles in the western theater: Shiloh, Perryville, Stones River, Chickamauga, and Missionary Ridge. Harker was regarded as one of the rising young stars of the army, prompting General William T. Sherman to write, “Regret beyond measure,” the loss of General Harker. 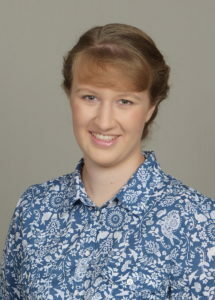 The author is senior library assistant at the Logan Township Public Library. He was formerly an editor and proofreader for a major pharmaceutical company, and is a former tour guide for Centipede Tours of Philadelphia. He is a long-time Civil War reenactor and is currently writing a second book, a history of the American Revolution in Swedesboro and Woolwich Twp., New Jersey, where he resides. This entry was posted in Meeting archive on January 10, 2019 by hlj. Readers say that one of the most important features of a modern book about the Civil War is a good collection of understandable, accurate maps. Hal’s presentation, offered via Skype from California, will reveal some of the details behind the process for creating such maps. 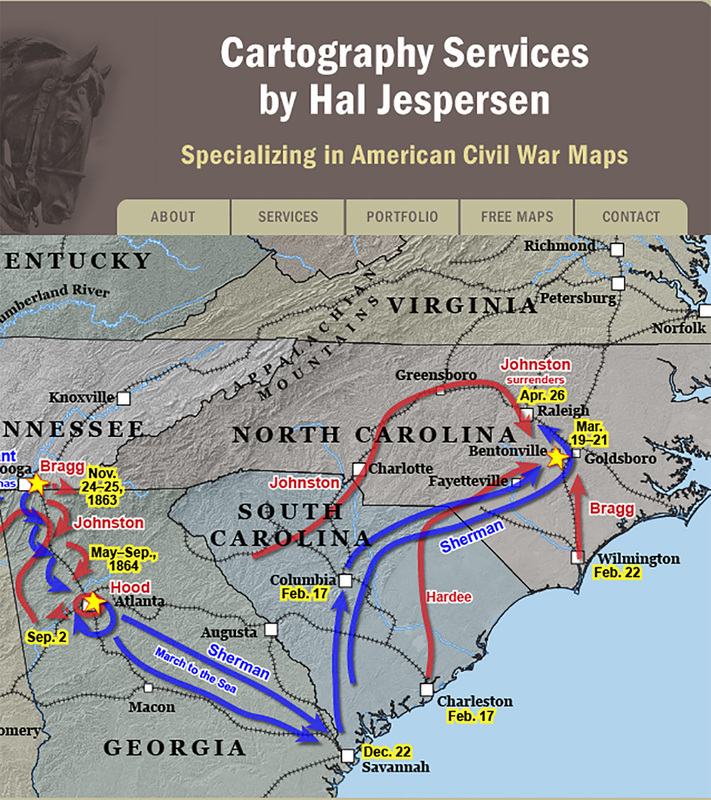 Hal Jespersen’s cartography business has produced over 2,900 maps for Wikipedia and numerous books, magazines, and battlefield displays. Hal will discuss the state of mapmaking during the war, review the work of some famous cartographers, and describe tools and processes he uses to create maps. Some of the technical concepts included were projection, elevation rendering, evaluating the accuracy of the Official Records Atlas, and plotting the courses of 19th century rivers, roads, and railroads. Hal Jespersen is a retired computer industry executive—formerly of Sun Microsystems—who has a strong interest in studying the Civil War. Hal was a U.S. Army Signal Corps officer in the 1970s, including Viet Nam, and then held a variety of computer software jobs in Silicon Valley until his retirement in 2010. Although he studied some military history and visited some battlefields as an ROTC cadet, Hal’s overriding interest in the war was triggered recently by a specific event—reading Michael Shaara’s The Killer Angels in 2003. That led to a period of voracious reading about the Battle of Gettysburg and to the first of a number of trips to that hallowed ground. In 2004, Hal began to make significant contributions to the Civil War articles on Wikipedia, and is the principal author of about 130 battle and campaign articles as well as an equal number of biographical articles about Civil War generals. In addition to the text of the articles, Hal has produced over 2,900 Civil War battle maps, which are appearing in a number of online sites and numerous books. Hal focuses his interests primarily east of the Mississippi, and although he loves the Army of the Potomac, believes that the war was substantially won in the Western Theater. 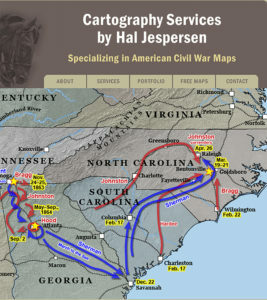 Hal’s mapping website, www.CWMaps.com, includes about 200 freely available maps of the war, as well as information about his custom cartography business. His personal website, www.posix.com/CW/, contains links to his important Wikipedia articles and a large number of travelogue articles, recording his visits to Civil War battlefields and seminars over the years. Hal is the webmaster for three Civil War Round Tables, including Old Baldy. This entry was posted in Meeting archive on January 4, 2019 by hlj. This entry was posted in Newsletters on January 1, 2019 by hlj. 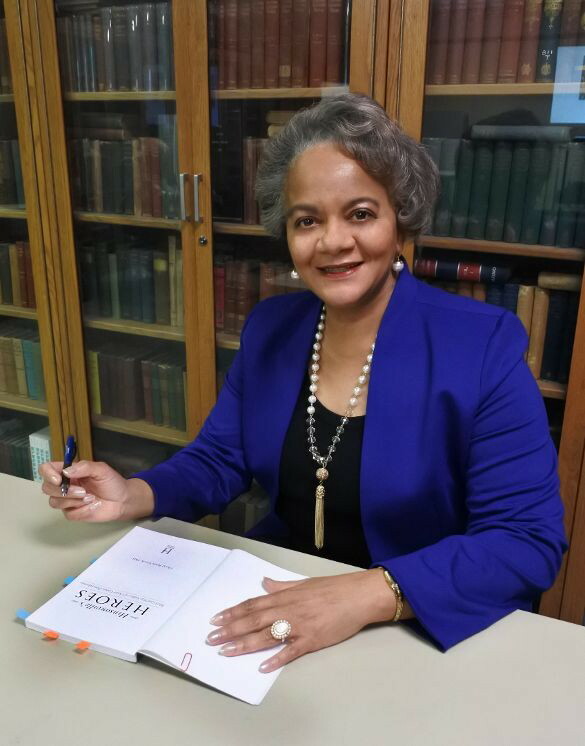 Dr. Cheryl Renée Gooch is the author of the newly published book Hinsonville’s Heroes: Black Civil War Soldiers of Chester County, Pennsylvania (The History Press, February 2018). Dr. Gooch will discuss her book, which traces the stories of residents of Hinsonville, a free black community, who fought for the Union. Named for Emory Hinson, a black man who purchased acres straddling Lower and Upper Oxford townships in Chester County, PA, the former 19th century village of Hinsonville attracted both free and determined to be free people who championed religious freedom, higher education, land ownership and equal rights. Residents organized a black Protestant church, supported the founding of Ashmun Institute (later Lincoln University), vigilantly opposed slavery and, in some cases, emigrated to Liberia as a part of the colonization movement. The community’s tradition of self-determination compelled 18 of its men to enlist to advance the freedom cause, 11 of whom trained at the former Camp William near Philadelphia. Since its release, Hinsonville’s Heroes has maintained active interest among both general and academic audiences and was recently featured on Pennsylvania Cable Network-TV’s PA Books. Dr. Cheryl Renée Gooch is an academic leader, published scholar and active historical researcher. She served as historian and primary writer for the Delaware History Museum’s permanent exhibition, “Journey to Freedom” which chronicles the Black Delawarean experience from 1629 to the present. An active member of the Toni Morrison Society Bench by the Road Project, Dr. Gooch led the effort to place the memorial bench at Hosanna Church which honors Hinsonville’s Civil War veterans, the church’s role in founding Lincoln University, and its members participation in Liberian colonization and the abolition of slavery. A Life member of the Association for the Study of African American Life and History (ASALH), she serves on the Executive Council, and is a member of the organization’s Carter G. Woodson House Committee which advises the National Park Service on interpretive themes for the historic site. 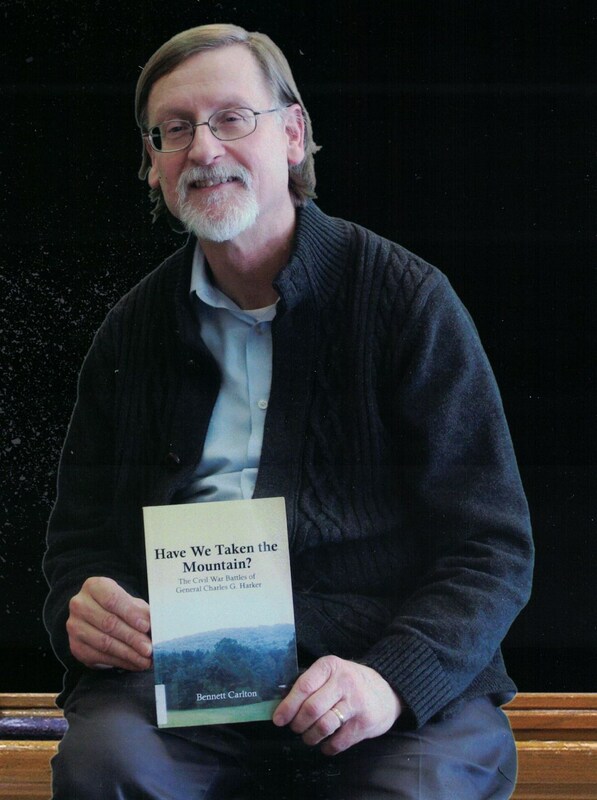 Dr. Gooch is author of On Africa’s Lands: The Forgotten Stories of Two Lincoln Educated Missionaries in Liberia (published in 2014 by Lincoln University Press) which chronicles the experiences of James Amos and Thomas Amos, former Hinsonville residents. Her newest book, Hinsonville’s Heroes: Black Civil War Soldiers of Chester County, Pennsylvania, interprets the lives of men from this free black community who served in the war to end slavery, and their families’ efforts to ensure that they are remembered for their role in re-unifying this country. This entry was posted in Meeting archive on November 5, 2018 by hlj.